It’s always been on my list, so it’s kind of hard to believe it took me this long to get here. But a few years ago, as I started to plan out the last few ticks on my #30by30 checklist (30 countries by my 30th birthday), it seemed to fit in rather nicely just before the pinnacle 30th in Italy. 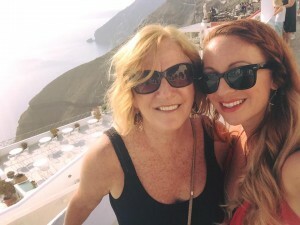 I recruited my mom to join me, which was, as I predicted, rather perfect based on our shared passion for food, wine and walkable cities and we booked our flights to Santorini for a short, but oh so sweet, extended weekend of island life. 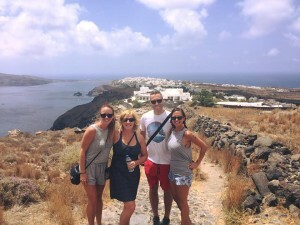 Why Santorini? 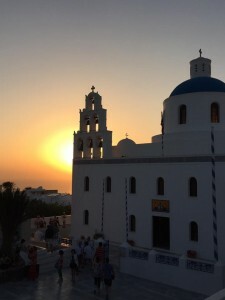 Well, Santorini is what you picture when you imagine Greece. The white buildings carved into the cliffs. The blue domes that frame the iconic sunsets. Everyone who had visited there told me it was like being inside a postcard. And they were right. Of all the places I’ve been in the world, I’m not sure I’ve ever been anywhere more beautiful. We had booked a rather modest hotel, affectionately named “Maria’s Place”. It was, unsurprisingly, run by a boisterous, Greek woman called Maria, who greeted us upon arrival at her small hotel, and lead us and our very big bags to our very small room. Inside this very small room, were two very small twin beds, side by side and an even smaller desk in the corner. This wasn’t exactly the luxury accommodation I might have imagined for our blissful weekend in Greece, but we got it for a wildly good deal (around $100CDN/night) by booking in advance, which was unheard of for this island, especially at this time of year, and we figured, how much time were we really gonna spend in there anyway? 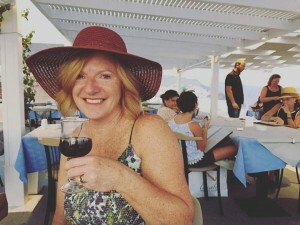 We giggled as we tried to open our very big suitcases into the very small corners of the room and poured ourselves some wine using the very small water glasses that were provided. Good enough! For those of you that know me, I am a bit of an overachiever and love a good checklist, and I am definitely my mother’s daughter, so by the end of Day 1, we had checked almost everything off. 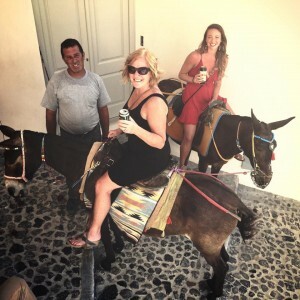 And by late afternoon on Day 2, as we rode a pair of donkeys through Fira Town, nervous laughter and road pops spilling into the cobblestone streets, we had done it all! And there was so still much more to see. We were still suffering the pains of jet lag, so we weren’t able to get up before 10AM any day (odd for both of us) and spent every evening sipping wine side-by-side in our little dwarf beds (as we came to refer to them as) watching movies on my laptop like school girls at a sleepover, so we didn’t do everything, but we have both said, we will undoubtably return. And if you’re considering a trip this way, stop thinking about it, and book it. You will LOVE it. And here, for your consideration is a more complete and thorough checklist (along with some helpful tips and hints) that will ensure you get the most out of your time there. But don’t pay 18 euros for a fancy pants glass of it the moment you arrive, thinking you’re splurging and treating yourself to “the good stuff” to kick off your holiday. It’s not necessarily the best stuff just because it’s expensive. And in fact, we found that that first glass that we paid out the a$$ for was probably one of our least favourite. (And trust us, we tried quite a few to be sure.) The Atlantis wine is served widely at local restaurants, and sold at local shops for maybe 11 euro a bottle and will do you just fine. If you do decide you want to try something else and/or take it up a notch, by all means! But be sure you ask to taste it first. And you know what goes great with wine? Try all the Greek foods. 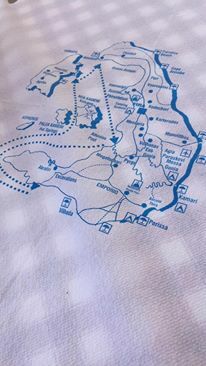 We didn’t get to any touring on our short stay, but when we return, we’ll definitely be booking up some boat trips to the surrounding islands. 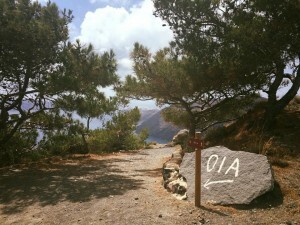 There is a volcano, hot springs and the little island of Thirasia, all accessible within a day trip. And then hey, after Santorini, I’ve heard that Myknanos, Crete, Corfu are all pretty spectacular as well. 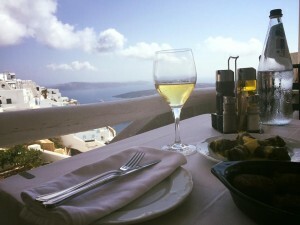 Here are a few ideas for you: http://www.telegraph.co.uk/travel/destinations/europe/greece/galleries/The-19-best-Greek-islands/. I guess I’ll have to add more to my list! P.S. 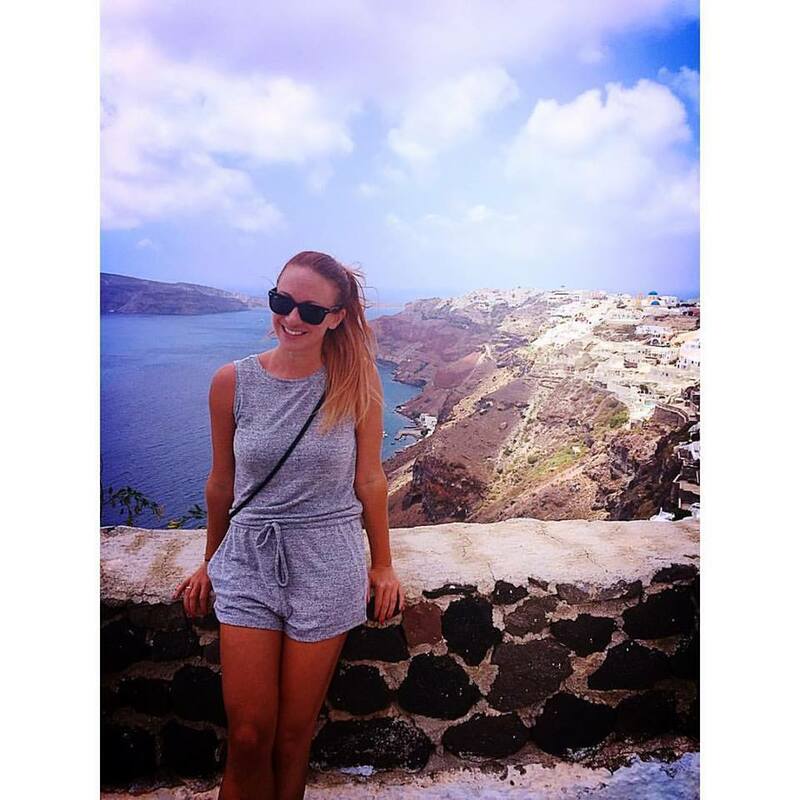 Be mindful of the surprising Santorini winds. They’ll get you. Or rather, your skirt, when you’re least expecting it. Case in point: during a photo opp with a view, in front of a terrace full of cocktail-sipping sunset watchers, while my mother stared into the dark, reflecting screen of the camera in an attempt to get a shot, and I stared off into the distance, somehow not realizing the force of the breeze I was feeling, I gave the crowd quite the show. And it wasn’t until later, when we reviewed the captured shots, that we saw the full flash of my lacy undergarments, in not one but FOUR of the photos. So yeah, that happened. Perhaps another reason you need that LONG white dress….